Make money with Multisite! Use Pro Sites to build and manage your own profitable blog network including premium service packages, built-in marketing tools, storage upgrades, and domain mapping – just like WordPress.com and Edublogs.org. Added: Card update form for Stripe customers. Added: Setting to log the Stripe errors to the error log. Added: New action & filter hooks (pro_sites_email_notification) for email notifications. Updated: Updated checkout screen for Stripe. Updated: Log webhook event id for easier debugging. Updated: Do not log unwanted webhook events to site meta. Updated: Minimum PHP version is updated to 5.4. Fixed: Do not cancel subscriptions immediately unless the site is deleted. New: DB upgrade for older installations. New: Show site title and URL on free sites. Fixed: Conflict with NBT template selection. Fixed: Payment receipt email not being sent. Fixed: Wrong password in the email when a site is manually activated. Fixed: Wrong trial period length when using Manual payments. Fixed: Wrong admin URL for the additional registrations. Fixed: GDPR checkbox disappears in the signup form. Fixed: XML-RPC not working on subsites. 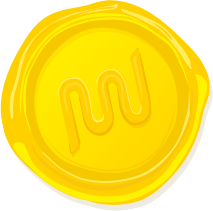 Fixed: Pay To Blog module blocks Free level. Fixed: Conflicts with PHP 7.0+. Added: Indian Rupee support to PayPal. Fixed: Stripe payments are not working after upgrading to latest version of Stripe API. Fixed: Trial period continues to be doubled. Fixed: Fatal error on PHP 5.2. Added: GDPR personal data erase and export. Added: Plugin information to default "Private Policy" page. Fixed: Blog ID value was passed as a string instead of int. Fixed: DOM error on pricing table page. - Fixed: Unable to remove Pro Sites status manually. - Fixed: Coupon discount was not showing in account history log. - Fixed: Stripe errors after cancellation. - Fixed: Pro Sites no longer upgrading after receiving payment. - Fixed: Tax.js was loading by default even if it was disabled. - Fixed: Level and period values were not set on PayPal checkout form. - Fixed: Expire date was wrong if the cancellation is within the trial period. - Fixed: Pro Site level not assigned when using PayPal sandbox. - Fixed: PayPal recurring payment is not working when payment type is eCheck. - Fixed: Multiple registrations were not working properly. - Added: Option to set quota for the free level in Post/Page quotas module. - Updated: Do not let users upgrade a site without logging in. - Fixed: Conflict with WP User Avatar. - Fixed: Errors in main blog admin pages. - Fixed: Email was empty on the confirmation page. - Fixed: Payment button appears after logging out. - Fixed: Updating card info was not working. - Fixed: Non-numeric value error in PHP 7.1. - Fixed: Using coupon sets the price to 0 in some cases. - Fixed: Sign up link was showing twice on Pro Sites page. - Fixed: Pay to Blog module was not working when free signup is enabled. - Fixed: Fixed SQL error on Pro Sites page if blog id is invalid. - Fixed: Errors when Pro Sites checks the status of deactivated sites. - Fixed: Stripe errors when deleted plans exist on the cache. - Fixed: Error while checking already canceled sites later. - Fixed: Duplicate id/class name on the checkout page. New: New filter prosites_pricing_table_columns to filter pricing levels. Updated: Added sanitization to activation key and few other $_GET parameters. Updated: Moved inline scripts to checkout js. Fixed: Text escaping issue on pricing tables. Fixed: Database error on logs after activation. Fixed: Few translation strings were not escaping properly. Fixed: Added PHP compatibility check for Taxamo module. Taxamo requires PHP 5.3+. Fixed: Fixed undefined error on anonymous function in PHP 5.2. Maintenance Release, Fixes a number of issues related to Checkout Page, Gateway Settings with some added features. -Added: Allow HTML in pricing table description field. -Added: Really Simple SSL support. -Added: New setting to select PayPal checkout button image. -Updated: Use wp_add_inline_script instead of hp_head to add checkout page scripts. -Updated: Message on PayPal checkout when setup fee is used. -Updated: Google Analytics e-commerce tracking code. -Updated: Load Pro Sites scripts only on Pro Sites admin pages. -Fixed: Duplicate payment receipts being sent. -Fixed: Not all events were logged in site logs. -Fixed: Notification emails become blank on text only email clients. -Fixed: Manually extending pro sites extends trial period. -Fixed: Setting up Posts/Quotas doesn’t work. -Fixed: PayPal “Thank You” Message isn’t displaying after purchase. -Fixed: Free trial message is not being displayed. -Fixed: Error on stats page (PHP 7.1). -Fixed: Site categories can’t be selected. -Fixed: Users cannot create new additional sites. -Fixed: Expired sites does not activate after payment. -Fixed: Wrong url is shown in confirmation page. -Fixed: Pro Sites Widget not showing when logged out. -Fixed: PHP notices after saving the settings. -Fixed: Fatal errors on PHP 5.3 and 5.4. -Fixed: Subscription cancellation was not working for PayPal during trial period. -Fixed: Error on the confirmation page after signup. -Fixed: Conflict with GeoDirectory chosen select. -Fixed: Error when trying to update credit card checkout page. Paypal: Unable to change PayPal currency. Added: Premium plugins now auto activate or deactivate when a site's level changes. Added: Permanent extensions can now be reverted by extending a site manually. Fixed: Checkout page now displaying proper confirmation. Fixed: Manual payments no longer give cancellation warning. Fixed: PayPal checkout shows confirmation after redirecting back from PayPal. Added: Update your Stripe credit card by checking out your existing plan and selecting "Replace Existing Card". UX update coming soon. Fixed: Error when Stripe is not active. Fixed: Pre 3.5 feature to set default trial levels restored. Added: When extending a site manually and Stripe is activated, there is an option to attempt to reactivate the Stripe account. Please note to only use this upon accidental cancellation or when you have explicit permission from the user. Update: Warnings about manual payment cancellations removed. Update: New warnings when Stripe credit card transactions failed and prompt to re-enter credit card details on accounts page. Priority Fix: Manual extension of site will re-activate cancelled Stipe subscription. User will only be charged at next expiry. Fixed: Legacy gateways, trials and manual extensions no longer cancel subscriptions. Fixed: When changing "Method Name" for manual gateway it now alters the display correctly. Fixed: Subscriptions no longer cancel immediately when using trial. Fixed: Checking out with PayPal now show correct setup information. Fixed: Features table not displaying correctly. Updated: Added additional Stripe currencies. Fixed: Errors on new blog creation. Fixed: When switching gateways the old gateway will attempt to cancel when setting up the new gateway. Updated: Information message will appear to users wanting to change their payment gateway. Fixed: Upgrading with PayPal while still within trial period. Added: New Premium Plugins Manager to give you more control over the plugins that each level can use. Fixed: When checkout page is defined as registration page in BuddyPress, the checkout page will show. Updated: Premium Themes module will now show premium themes to all sites not just pro sites. Only allowed themes can be activated. Fixed: Fatal error when creating checkout page. Fixed: Small CSS adjustment to fix pricing table in some themes. Fixed: Multiple backslashes no longer appears in textboxes. New UI: Updated many of the setting pages to make it easier to find your settings. Also includes drag and drop reordering of some elements. Fix: Data table creation for Ads module. Fix: PHP warning message no longer appears when no modules are enabled. Fix: Notice caused by custom translation file code. Check user has edit permissions for one blog before loading checkout. If a user has one blog, load checkout page for that blog instead of asking them to select their blog from a list. Search and replace email notification subjects as well as body. Fix bugs in PayPal backwards compatibility IPN handler - important to manually replace supporter-paypal.php if you are using! IMPORTANT bug fix for PayPal IPN handling. Required update! Fix unintentional onetime redirect for all free sites to the checkout page, for real this time! Fix autoactivation when the plugin in question is active on the main site - Props to asimetrick! Screenreader accessibility for the checkout form grid - Props to KFUK-KFUM! Allows modifications, level upgrades, payment plan changes, and cancellations by the user. Powerful admin management: Process refunds, cancellations, partial refunds, and keep track of everything for the blog via a detailed audit log. Bulk Upgrades Module: Allows you to sell Pro Site level upgrades in bulk packages. Limit BuddyPress Features Module: Allows you to limit BuddyPress group creation and messaging to users of a Pro Site. Limit Publishing Module: Allows you to only enable writing posts and/or pages for selected Pro Site levels. Pay To Blog Module: Allows you to completely disable a site both front end and back until paid. Post/Page Quotas Module: Allows you to limit the number of post types for selected Pro Site levels. Unfilter HTML Module: Allows you provide the "unfiltered_html" permission to specific user types for selected Pro Site levels. Create and monetize your own WordPress.com or Edublogs.org type network with premium services and paid upgrades using Pro Sites. Offer plans that connect with your clients. Charge users for access to your premium hosting services. Allow users on your network with a basic account and invite them to upgrade for ad-free blogging, expert 24/7 support and top shelf products. Pro Sites includes all the “extras” you need to create a feature rich hosting service. Offer theme upgrades, plugin upgrades, expert support, ad-free blogging, unlimited publishing, domain mapping, increased storage and BuddyPress support. Here’s what other users are doing with Pro Sites. What will you build? It includes all the extras you need to build a feature-rich hosting service. Create upgrade levels that fit your clients needs. Auto-generate pricing and features tables and quickly layout, style and highlight everything your site has to offer. Give free users access to only your basic content and charge top dollar for things like custom domains and access to eCommerce. Packaged with everything you need to start taking payments out of the box – no expensive extensions. Our simple checkout process guides customers through their purchase so you don’t have to worry about last minute cart abandonment. Pro Sites provides seamless front-end checkout and includes the option to reserve a site name and domain for 48 hours. 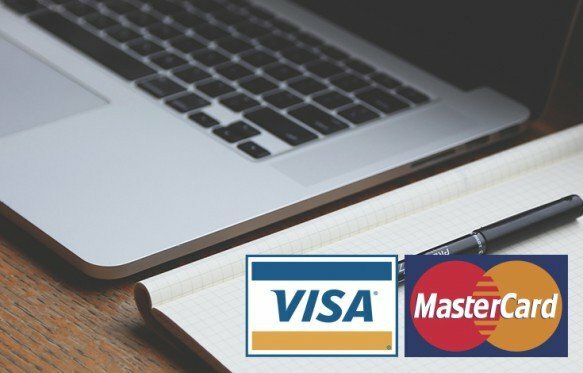 Choose from three payment options in 24 currencies and get paid with PayPal Express, Stripe as well as manual payments. Each gateway is rigorously tested and backed by our expert support team. Let new customers create a user account at checkout for a smooth transaction, and even set up integration with Taxamo.com to handle your EU VAT requirements. Track new users and their sites and monitor all transactions on your network with detailed graphical statistics. Pro Sites makes setting up advanced eCommerce analytics a piece of cake. If you already use Google Analytics, simply turn on integration in Pro Sites’ settings so you can start monitoring your eCommerce information right away. Offer loyal users with multiple sites on your network special bulk upgrade packages. Whether you’re hosting tens or even millions of blogs, site management is a snap. Quickly search sites, set what members can and can’t access, add one-time setup fees and save time with recurring subscriptions. Pair with BuddyPress for incredible control over your social network hosting. Encourage users to upgrade their account for access to BuddyPress group creation and messaging. And don’t forget to let them know they can sign up, participate in groups and generally enjoy your site for free. Multisite networks can get complicated and not every site or user needs the same things. Pro Sites offers features as modules so you can turn on only the functionality you need, making your network easier to manage. Built-in auto-response emails help keep users connected. Email new users automatically when they sign up or offer members who cancel a special discount if they come back. Automated emails help free up your time by sending receipts and follow up communication for you. Show customers the benefits of upgrading with the ability to browse and trial premium features like themes and plugins. Offering discounts can be a powerful way to increase conversion rates. Pro Sites lets you set up and manage coupons to help you secure customer loyalty. Make full use of your WPMU DEV membership and integrate Pro Sites with any of our 100+ collection of plugins. Pro Sites includes special integration with: Domain Mapping, Pretty Plugins, Multisite Theme Manager. The Pro Sites plugin is designed for users to pay for additional features for their site. The idea is you offer features that make them want to sign up for a paid site rather than use a free site. We refer to the paid blog as a ‘pro site’ and the free blog as a ‘non-pro site’ however you can change it’s name on the Settings page in Network Admin » Pro Sites » Settings. Pro Sites is per site, not per user. When they sign up for a single Pro subscription, the dashboard they are logged into when they subscribe is the site that is upgraded, and Pro features are only applied to that site, so if they are a member of another site they will not see Pro features on that site. Free levels – When new sites are created, they are technically Free. You can remove this Free site functionality by enabling the Pay to Blog module. Downgrades – When users downgrade a site’s level, Pro Sites creates a new subscription at lower rate. Their level will drop when the next scheduled payment (lesser) comes through. Upgrades – When a site’s level is upgraded, the difference is calculated automatically by the plugin and the date of their next payment is adjusted to take into account any balance from the previous subscription. Basically, it’s pro-rated by time and this is done because when upgrading you want them to immediately have access to the higher level. If you need to run Pro Sites on multiple WP installs but with the same PayPal account, you will need to setup an IPN forwarding script. This is due to limitations in the PayPal APIs regarding subscriptions and only being able to set one IPN URL in PayPal settings. Instructions for this can be found here. For help with installing plugins please see our Plugin installation guide. Once installed log into to your admin panel, visit Network Admin » Plugins and Network Activate the plugin. You will need to take some time to configure Pro Sites correctly. 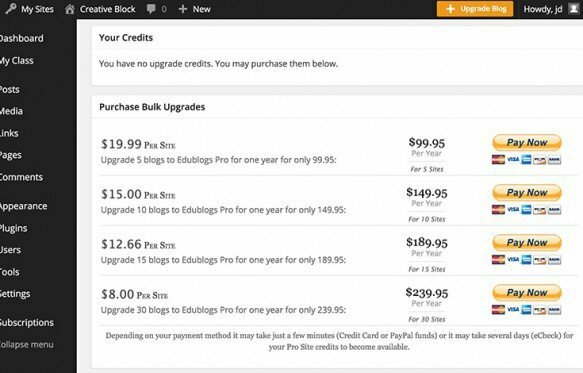 Pro Sites lets you create unlimited levels of subscriptions. You should plan these out beforehand, deciding what you wish to give to each level. It is easy to add a new level. Just insert the name and the different prices. You can also un-check payment options that you don’t want to offer, like “12 Months”. You can use the settings to re-brand Pro Sites, add free trials and create email notifications. Navigate to Pro Sites » Modules/Gateways to choose which modules you wish to use. Post/Page Quotas – Allows you to limit the number of post types for selected Pro Site levels. You can use this, for example, to limit the number of Products or Wikis a Pro site is able to create. If you add the Premium Plugins and Premium Themes they will get their own menu items. All of the other modules will appear under Pro Sites » Settings. Each of the modules has an individual settings box for you to tweak all of the options. Navigate to Pro Sites » Modules/Gateways and choose whether you want to use Manual Payments or PayPal. With Pro Sites configured, users will be able to upgrade their site to a Pro level via the Pro Sites sidebar option in their Admin dashboard or by clicking the Pro Sites link in the Admin bar. Pro Sites displays a table of subscriptions with the site’s current level highlighted for easy reference. Powerful network management, upgrades and premium features.